This Cape Cod custom-built home has just been dramatically upgraded; kitchen, flooring, deck privacy and more. It is situated at the end of a cul-de-sac off Broad Beach Road, down a private drive behind gates and is uniquely served by a sewer system. Almost every room enjoys beautiful ocean and coastline views. There are four bedrooms and four a half baths including a large oceanfront master suite and a bedroom suite with living room area, kitchenette and its own entrance. 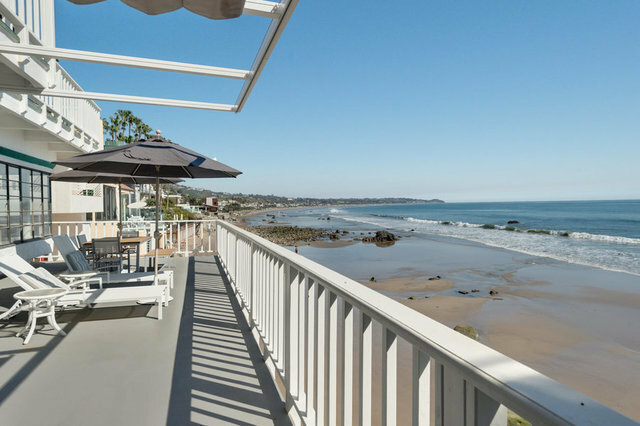 Expansive beachside decks are perfect for entertaining. This home has approximately 47 feet of Trancas beach frontage.